Designers will have hands-on experience on using Rhino in their jewelry design and analysis process. 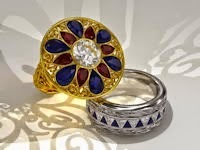 The course is designed to reduce the learning curve difficulty, and to provide the designer with a forward push into the digital jewelry design and high end rendering. Hurry! Time is running out.